I love good easy cupcake recipes since they are so easy to portion control. While I want to eat healthier foods in general, I am always of the mind a little indulgence can help me stay on track so I don’t go overboard. Easy cupcake recipes also make it simple to take a great dessert to a potluck, barbecue, or even easily portion for birthday parties! 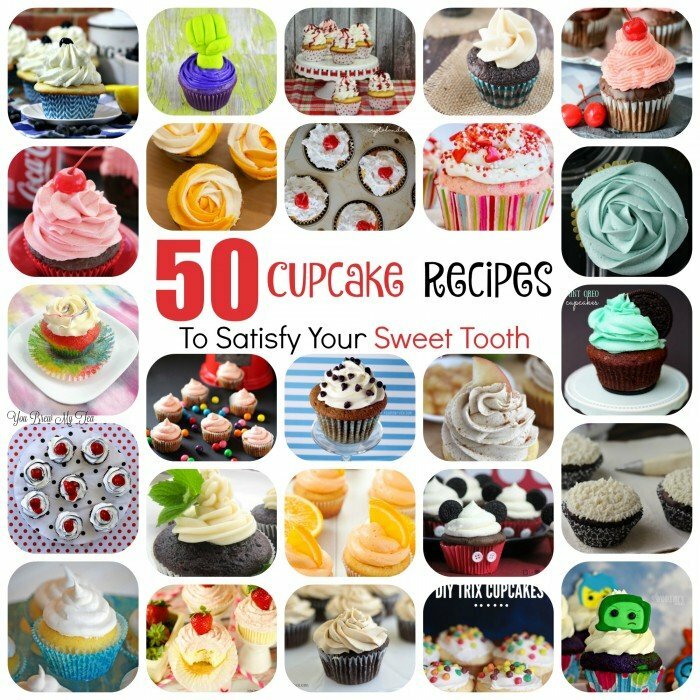 This list of 50 easy cupcake recipes is organized by specific types for you to easily find what you are most interested in. From light and delicious fruit flavors to the rich chocolate you expect, or even some fun themed ideas that are ideal for parties, this list is a great place to start when looking for a special dessert recipe. Oreo Cookie Cupcakes from Crystal & Co.
Chocolate Cherry Cupcakes from Frugal Mom Eh! Many people struggle with how to decorate cupcakes or make the icing look pretty. A few tricks come with using great cupcake pans so your cupcakes cook evenly, but then also using a simple cupcake decorating set that is inexpensive and easy to manage. The simple tips can turn a plain cupcake into a gorgeous piece of food art. 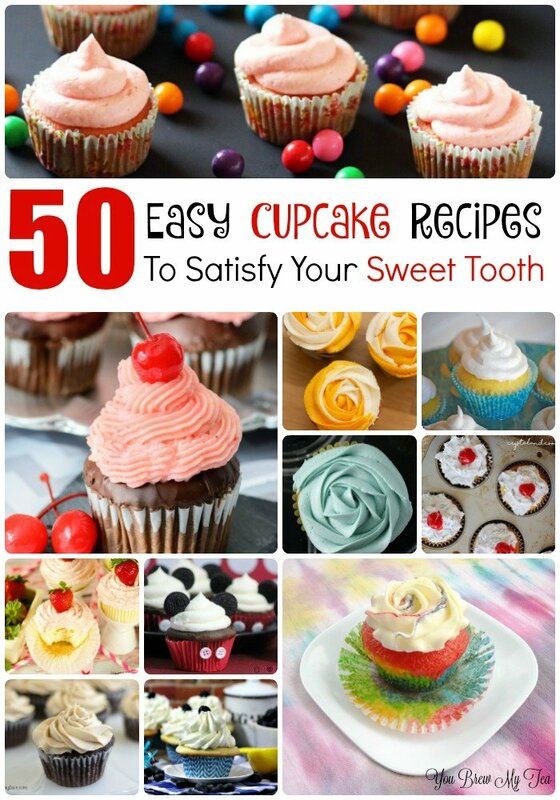 I love this list of easy cupcake recipes from my fellow bloggers. Tons of amazing recipes that are perfect for nearly any dessert need. From cute ideas for birthday parties to the decadent treats that are ideal for your next dinner party, this list is the ideal place to begin when looking for a great cupcake recipe! Oh my goodness. They all look so delicious, where to start? I think the cherry Coke cupcakes may need to be on my list. Yum!